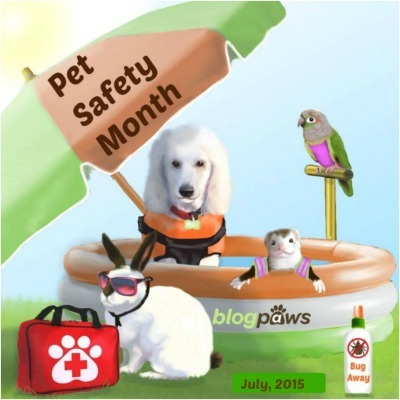 BlogPaws has dedicated the month of July to Pet Safety. This week on Barking Wednesday I want to talk about FOODS that are harmful to your dogs health. So often we give our pups a taste of what we are eating. My hubby and I know we should not do this - but we do. We make sure that we never give Diesel any of the following food items. It is scary how dangerous some of these foods can be to Diesel. Here is a listing of the top dangerous foods for your dog. I found a very good video on YouTube that discusses the kitchen dangers for dogs. If at any time your dog does digest any of these food items - contact your dogs vet immediately.